In the recently concluded Oracle Impact for Business Summit in Mumbai, Amitabh Singh, General Manager, HR, ICICI Bank shared insights on how the bank is employing AI to impact employee experience. It is a no-brainer today that AI is going to create a bigger divide between countries which are investing heavily in AI and those which are not. Future success will depend on how invested are companies are in AI and new technologies like IoT, Blockchain, among others. So where exactly do Indian companies stand on the adoption curve of AI? 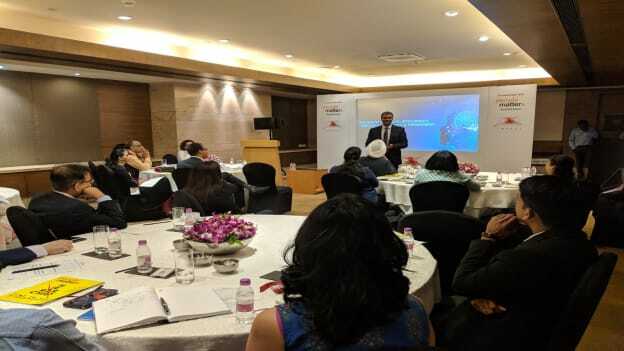 At the recently concluded Oracle Impact for Business Summit in Mumbai, many Indian companies shared how innovative technologies like AI, IoT, Blockchain are being employed to address the challenges of HR, finance, and more. Amitabh Singh, General Manager, HR, ICICI Bank shared how ICICI bank is leveraging AI to impact experience and engagement at ICICI Bank. The bank has now started using algorithms and has automated the full process to make it better, cutting human intervention to nil. Today when an employee puts in a transfer request, basis geotagging, the HRIMS system can suggest vacancies available to the employee. The employee can then choose three preferred locations and the system on a real-time basis will go and assign a priority to the request, depending on the reasons cited for the transfer. For instance transfer requests from women are prioritized; similarly, those on the basis of health or transfer of spouse are prioritized. At the end of six hours, the recruitment manager will get a report on how many matches have been made and those positions are blocked. So no other offer can be made as the position is blocked. Also, at every stage the employed is kept informed of the stage of his application, what branch is he getting in how many days. If within 90 days, the request is not matched, it auto-expires. Thus automation has not only increased transparency but also upped productivity, helping the bank to close more transfer requests in a shorter time. Attrition is a common concern with all companies and ICICI bank like others, also toyed with the idea of trying to predict attrition by making investments. However, they were unable to crack it initially. The bank put in some 40 variables to figure out attrition and after 5 months of efforts, it figured while it could not predict who will leave, but it could predict which city will lose how many people in what profile. So now the bank knows that say in Chennai in the next month, 20 people are likely to quit. Thus the bank’s supply line has been staffed to take care of this. The algorithm mostly works on profiles which have a large people base. While the bank has been able to refine the algorithm at the city level, it still is working towards refining it to an individual level. Just like other finance players, the bank is now heavily relying on chatbots to help its employees apply for leave, regularize attendance, or do any other activity. Thus it’s not merely a bit for query resolution but a personal chat function which links directly to the HRIMS. The mobile platform allows the employees to check their salary, file their claims, or even talk to the HR manager through the app, fully enabling virtual HR services. However buoyed with the huge traction, the bank is taking a step further now to launch frontline exit interview with the chatbot. As this is a huge number, it is a big chunk of time investment for the HR people. The bot will thus help in figuring them to know why they are quitting. Currently, it is only meant for the frontline level because of the huge volumes. Going forward, the bank will also employ AI for creating personalized and micro learning platforms to disrupt its L&D function, or as the team calls fondly building “The Netflix of Learning.” While the world may debate on AI taking over or not, banks like ICICI are paving the way for easier adoption of AI and making employee experience more meaningful through technology. NEXT STORY: The Learning Landscape of 2018 – Five trends to look for!